In my application using the browse button i load the image. I am creating an instance of ImageIcon by giving the above specific path in the constructor. "ImageIcon icon1 = new ImageIcon(selectedFile.getAbsolutePath()); "
Then i use this icon instance to paint in a JPanel embeded in the scrollpane. of the panel to display the full image. Now because of some specific requirement in the project i resize(enlarged/reduce) the same image and try to reload the image through the browse button. And this resized image should be painted in the JPanel. How to resize the image : Open in paint and enlarge or reduce the size of the image. But the image size does not changes in the panel. But if i close the application and run it again, then the new height & width is taken. I think because of this it is not taking the new resized image. Can anybody give me a solution to this problem. I am attaching sample code for this. Please UseCodeTags. It will make your code so much easier to read. I'm moving this thread to the Swing forum. The code only formated. But this does not solve my problem. Yes. But it does solve the problem for the rest of us as it makes the code readable. After 80+ posts you should know by now that you should be using the code tags. Yes, i will take care of this from next time. But please help me to get the solution. 1) You really dont need to resize and generate multiple images. Start with a high resolution image to start with. 2) Override the paintComponent of the component you are using to draw your image on. 3) Check out the Graphics#drawImage method. You can specify the width and height of the image. 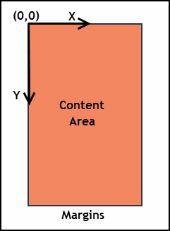 So if you specify the width and height as the width and height of your component, the image will always be drawn on all the available area, filling it fully. Actually the resizing of the image is done for some particular purpose which is done externally, may be using the MS paint. In the application the same image with its previous size is displayed. I know its size is changed. So i browse to the same path and load the same resized image. The paintComponent uses the image's height and width to paint it. And here this fails to get the changed size. It paints the initial size. If i close the application and runs it again, it loads the new sized image. But reopening the client is not a solution. So how do i solve it ? You resized the image externally. Now you need to reload the image as the image which you have is the old one. Once the new image is reloaded, you need to repaint. That is how you can solve it. ...and this is how you can use the code tags. The code suggested,i am already doing that. After reloading the image, it is expected to take the new size(height and width) of the image, but it still takes the old size. I have put prints in the paint and i have confirmed this. It still prints the old sizes. Only if i close the application and restart it again, it will print the new size. It is failing thats why i am asking for the solution. ImageIcon caches loaded images, so it will not reload an image with the same url / file reference. For reloading an image file which is modified while your program is running, use ImageIO.read which returns a BufferedImage that you can pass to the constructor of ImageIcon. In your case, you can probably use the BufferedImage directly.